« Florence & The Machine are magnificent! I love my mother, she’s a great lady. Some people aren’t overly keen on their parents, but I really dig mine. But sometimes I have to wonder: how well do we really know one another? 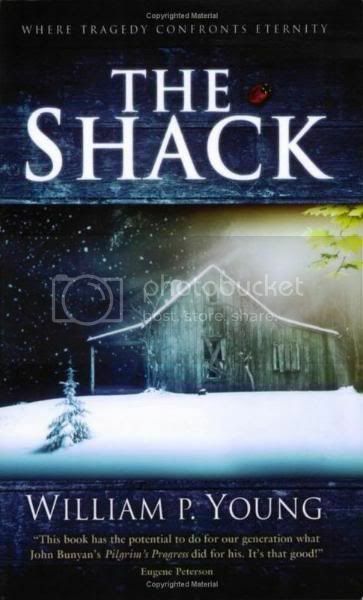 My mum had recently read this “bestseller” book called The Shack and she assumed that since I had majored in philosophy, that I’d really like it. I had read the back and I wasn’t really dying to read it but it sounded interesting enough. A kid gets killed by a serial killer and her father receives a note three years later to visit the shack where the most evidence related to her death was found- apparently the note is from God. So the whole story is about this man’s conversation with God that he has while visiting the shack. Not really my thing, but I’m willing to give anything a shot. My mother works for the Catholic Church so I know she can get kind of religious on me at times, which is fine- I don’t mind learning about religion, culture and belief systems… but this book… I’m just at a loss for words. 1- The only reason his daughter gets taken away (and eventually killed) by a serial killer- is because the father is too busy SAVING HIS OTHER KID’S LIFE. Oi. Honestly, why can’t he just be in a mall? Why can’t he just turn away for one second and the kid is gone, why must he be in the middle of a heroic act when his kid is taken? WHY? 2- God of course is represented as the holy trinity. God= essentially Aunt Jemima, Holy Spirit= small gardening Asian woman (although with spirit-like qualities) and Jesus is of course a Hebrew. Trying too hard? I think so. Not to mention the main character seems somewhat stunned at first that Jesus is brown (and later that he’s not pretty). HONESTLY. 3- The main character seems a little shocked that God is not a white guy with a beard. Really? Really. Basically it’s about the main character finding the strength through God to forgive the serial killer and God himself for what happened to his daughter. (There’s also a side story with his father being abusive and the forgiveness that’s found there) But essentially the whole story is just a structure to try and teach people about the holy trinity and how it works while trying to dispel any of the “rumours” about God that don’t tend to appeal to the general public. So they tackle things like- God is all good and thus he doesn’t make the “bad” things happen, it’s humans who use their independence to do that… and on and on and on. If this book makes other people swoon by all means, different strokes for different folks. But I couldn’t for the life of me figure out why a) my mother had recommended it to me and b) why she found it philosophical. I’m not pissed at God. I actually haven’t determined what my own personal beliefs are yet, so how could I be pissed? Also, the key to the philosophies and philosophers that I like- tends to be the fact that they have supported their ideas so well that it’s extremely hard to poke holes in what they’re saying. That they have presented an argument so sound that it branches off into more ideas; that at times blow my mind. I’d much rather read Nietzsche’s Beyond Good and Evil any day. This book is not philosophy and I worry about calling it theology for fear of insulting the title. It’s a book written by a white guy trying to give God’s perspective. How he knows God’s perspective is beyond me, but apparently he feels comfortable with what he’s written and other people do as well because he’s sold millions of copies of this sucker. 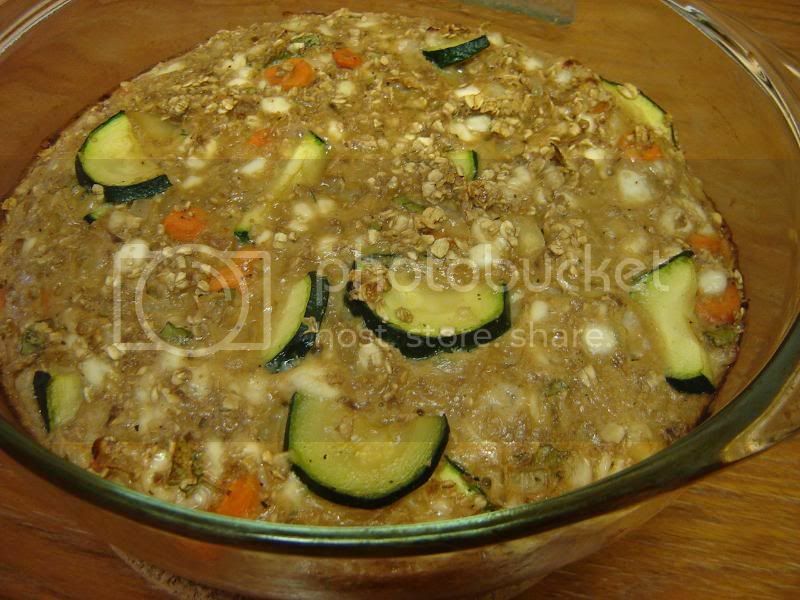 This entry was posted on July 12, 2009 at 4:20 pm and is filed under Books, Cooking, Daily Rambles. You can follow any responses to this entry through the RSS 2.0 feed. You can leave a response, or trackback from your own site. I, like you, have no problem with religious constructs, systems of belief and people believing what they believe. Hell, I don’t even have a problem with someone telling me I’m wrong, and everything I believe is a lie. Whatever. It’s all good. I think I take some issue with the face that because the religious/christian sub genre of every form of popular media has become an industry in and of itself, that those who create the media can pass off less than adequate work as on par with their secular contemporaries. So often have I come across Christian films, books, music that is meant to appeal to a specific demographic, but is light years behind the secular counterparts. Say, for example, rap music. I remember when rap was the “new” thing, and as a result, Christian music labels began churning out rap acts. They were disgusting caricatures of actual rap music, yet because they represented capital G, god, these approximations of rap artists could make a living. I guess I find that within the Christian popular media, it’s more often than not a Christian product first, and then a band, or a novel or a film second. And the art suffers because the message, however positive, is paramount to the quality of the work. Oh dude! good point. I think that’s my problem really- this could have been a great book, an interesting book that posed questions and made me ponder- but instead I definitely got a “Christian product” which lacked the artistic appeal. yeah? yeah. I felt duped I thought I was getting a book but I got a lesson on Christian values instead. Yea, that book wasn’t philosophy. It was fiction. And it wasn’t meant to be a theological treatise, either. Your mom probably just wanted you to see a sympathetic portrayal of God. I liked how the book portrayed God, but I’m coming from an evangelical context where pastors tend to be glorified and most pastors are white men. And since most pastors appear to be LONE, white men, it was nice to see God working in relationship, in three different persons, that were different races, genders and ages.